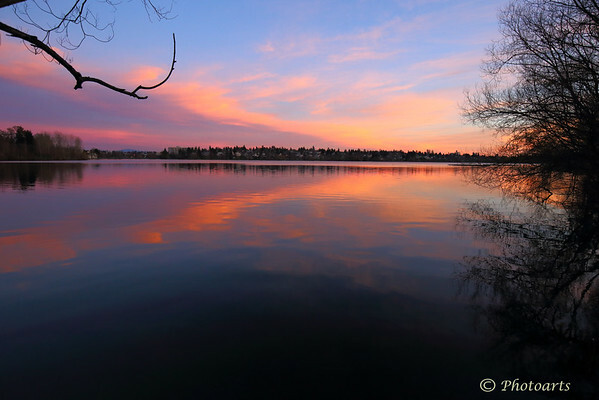 A tranquil Green lake in the heart of city of Seattle brings out the best of this sunset. Wonderful sunset colours and reflections ! Very nicely composed ! Gorgeous shot! I love the colors and reflections.